I have had this guitar for over 6 years and sounds fine, but these few so called "imperfections" have always bothered me but never really brought it up. It may not be much of a big deal, but I am wondering if any of these cases are something to worry about or bring concern to. I should also state that im an no expert in the Luthier department, so dont mind my lack of terminology. 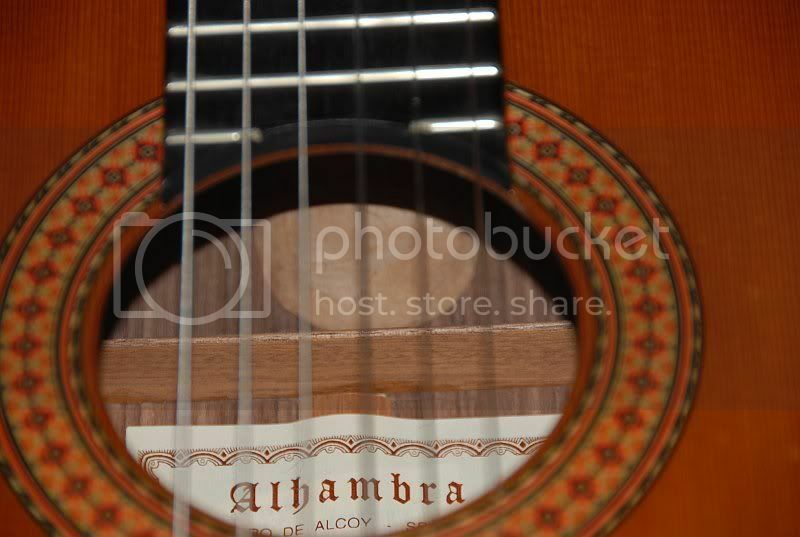 The wooden piece under the Alhambra sticker does not line up with the neck wooden piece. Are these condition normal? This is the 6P model which was not exactly cheap. Well I'm certainly no expert but if the things you have pointed out have not caused any problems in the last six years, I doubt if they will now. My advice would be to put them out of your mind. Our instruments are built from natural materials with varying degrees of human input, so we're always going to be able to find imperfections if we look hard enough. How are you getting on with that 4E? Best wishes, V.
i would agree...............if nothing has gone wrong so far i don't think you have anything to worry about. 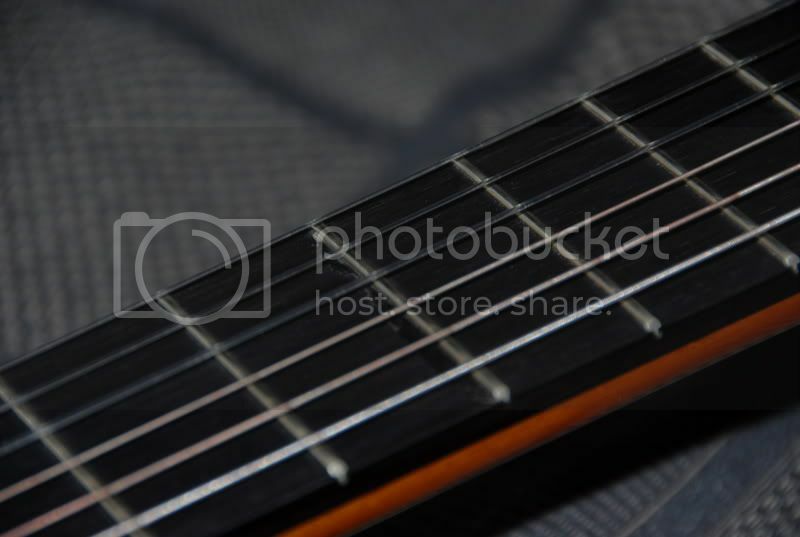 By the way i have an Alhambra 10FP...........it's a wonderful guitar. Vesuvio wrote: How are you getting on with that 4E? Best wishes, V.
It is an absolute dream to play. Its only after getting the Ramirez that I notice these imperfections more in the other guitars. I'm delighted you are enjoying the 4E. Comparison is a dangerous thing! I'm often first in the water at my local pool and I'm a great swimmer—until someone else gets in and I see how much more stylish or speedier they are! You've treasured your Alhambra and it will always be special and your "Romance with Ramirez" (the title of my blockbuster novel?) is going to last many years, perhaps forever. Best wishes, V.
I have a guitar that does not have back strip over the back joint. It is a Harmony made in Japan in 1960. It sounds great and has never failed or cracked. 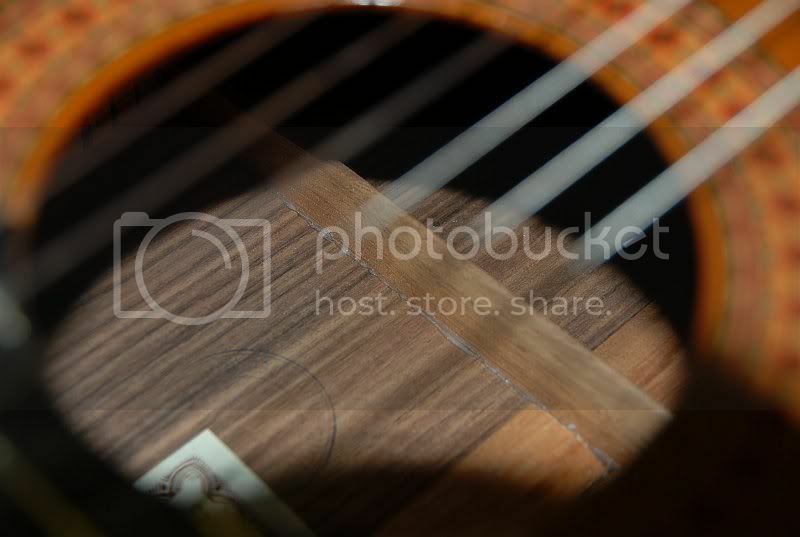 It is made of mahogany back and sides and spruce top. The famous luthier Torres used thick paper (like the one used to write music in those days) as back strip in some of his less expensive guitars. It could have been that the strip was not glued simmetrically with the joint. If it has worked well these years, love it and keep it as special.